A World Premiere Comedy Just In Time For The Holidays! 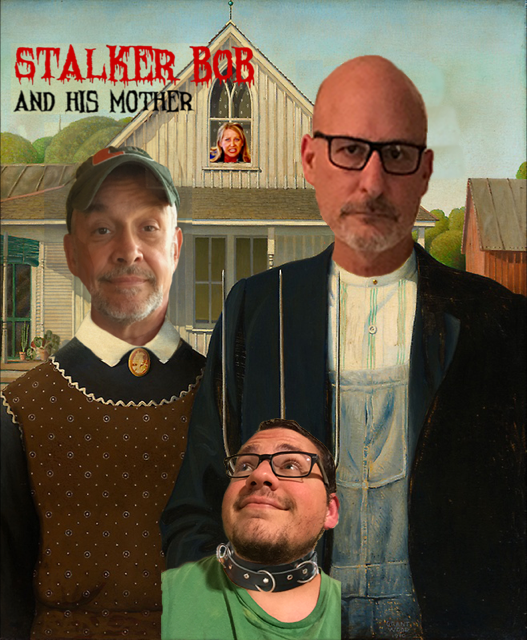 STALKER BOB AND HIS MOTHER! 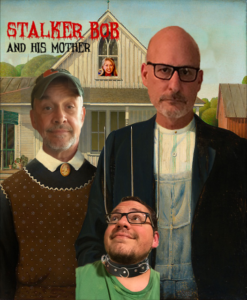 Loosely based on actual events, STALKER BOB AND HIS MOTHER is a comedy that asks the question: When you retire, is it the end of the adventure or the beginning? Jim and Jimmy have retired to Florida and are thrown into an adventure when a trick turns out to be the son of a career criminal who uses her son’s sexual charms to lure her next victims.